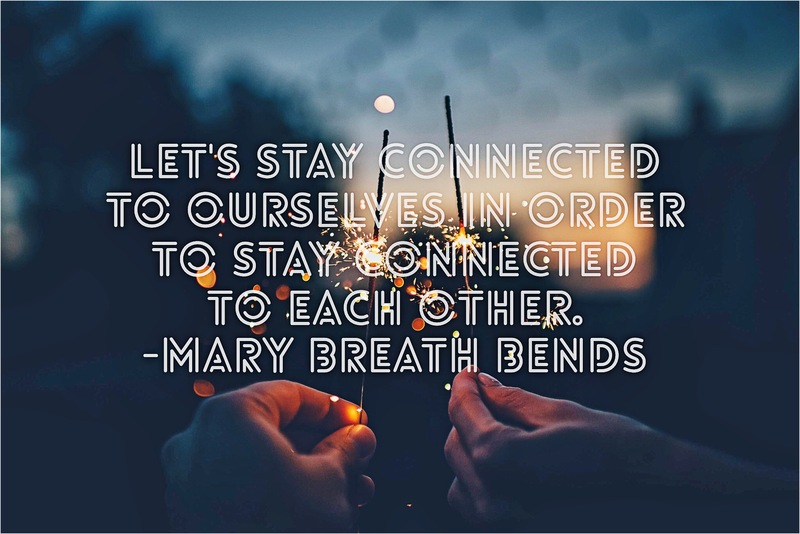 Let’s stay connected to ourselves in order to stay connected to each other. Everything I do in my career besides when I teach yoga, is done on either my phone, my computer or my iPad. Even though teaching yoga is the core of my career, I also wear a lot of other hats. I give astrology readings, I design, I blog and I market my business. All of these things are done with some sort of technical device. If you are familiar with astrology, I have Uranus, the planet of change, in my 11th house (depending on the house system). Regardless I identify with this placement. Uranus in the 11th house pretty much rules eccentric change in groups or wordly matters. It also rules innovation and invention. When any planet is in the 11th house, there is some sort of brilliance apparent in the natives personality. I identify with this placement especially because of the advancement of technology. This includes not only the latest iPhone, but social media. Ok so back to what motivated me to write this. One day I was on my phone working and I suddenly got annoyed that I was even holding it. I was feeling drained by its radioactive energy and my eyes were done looking at a screen. In that moment I started feeling like I had evolved into this alien dimension. Sounds funny to say and I say it because it really felt that way. Not because I think I’m some advanced human, but because technology is taking over my brain. Not really, but sometimes it feels that way. I literally tossed the phone on my carpet and put my hands on my eyes. Within that very moment I had an epiphany. Without those 2 practices this would be hard. I don’t think I’d be able to do it like I do it. Let’s teach the children these skills young so that they too can be prepared. It’s only going to keep advancing and we need yoga and mindfulness to keep them present. This is why I love teaching the kids!